The annual Y9 ESF Geography Quiz was held at West Island School on Wednesday 23 January. As per previous years, the field was very competitive and made up of some extraordinary Geographers all keen to vie for the trophy and title. 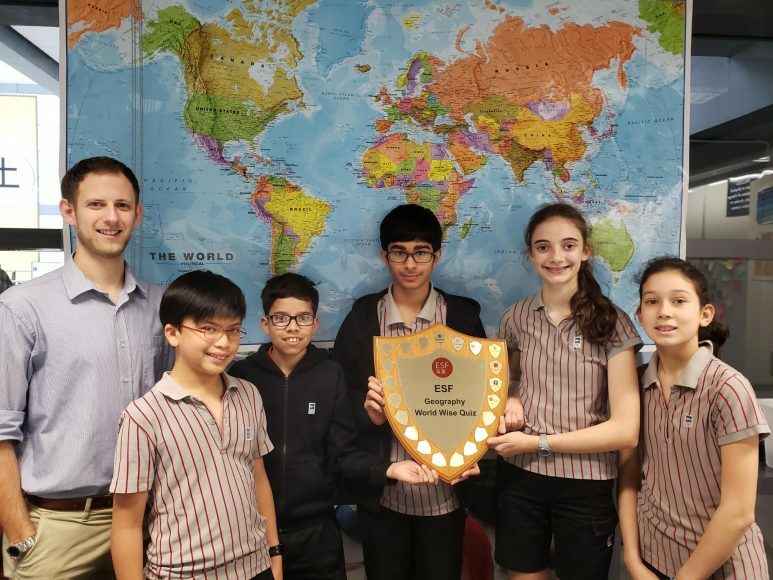 The DC team was made up of the following students: Megan Anderson, Rohan Sudhaman, Eluisa Foti, Abhinav Khanna and Aidan Tsang. The competition involved a number of rounds with scores being announced periodically. DC stormed ahead early in the rounds, to win with a very comfortable margin of points and thereby successfully defending heir title following last year’s victory. Congratulations to everyone involved.